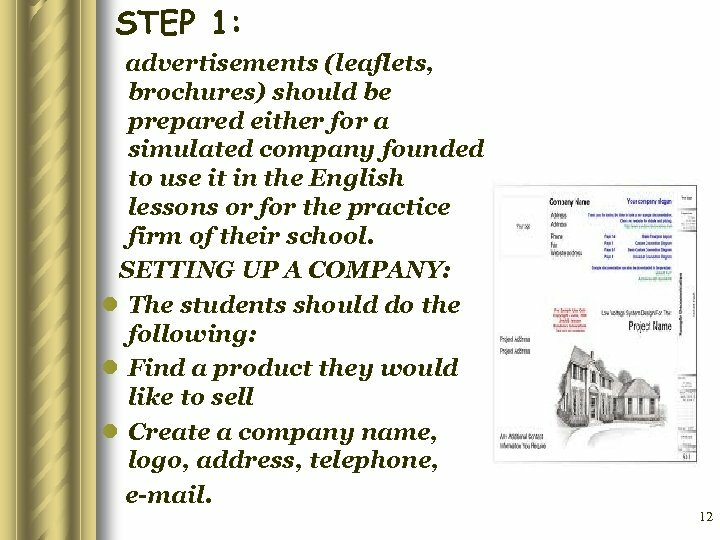 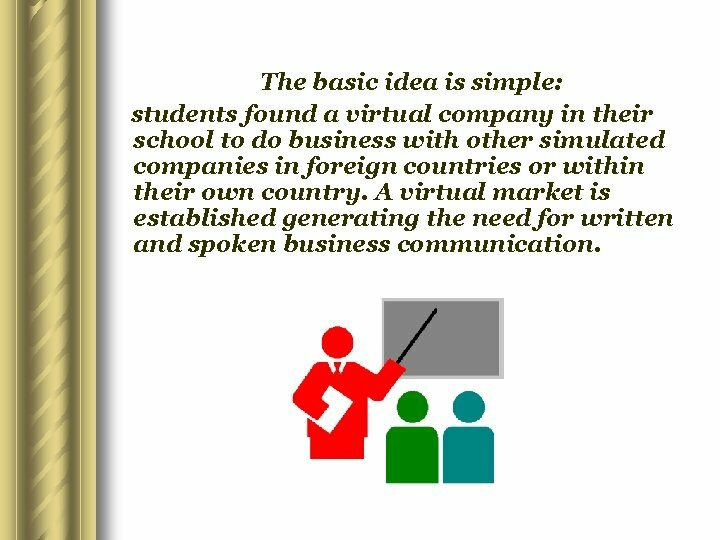 The basic idea is simple: students found a virtual company in their school to do business with other simulated companies in foreign countries or within their own country. 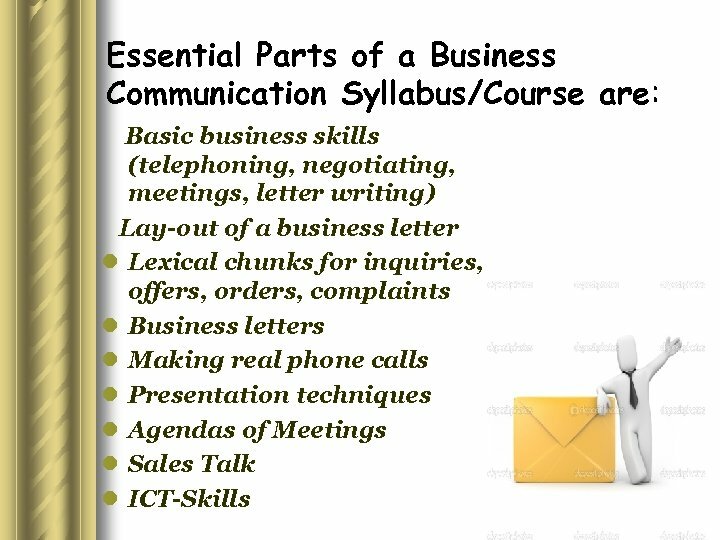 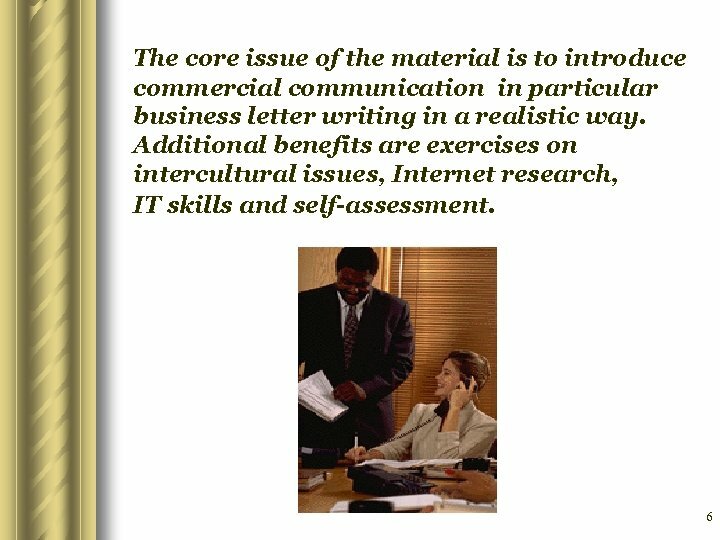 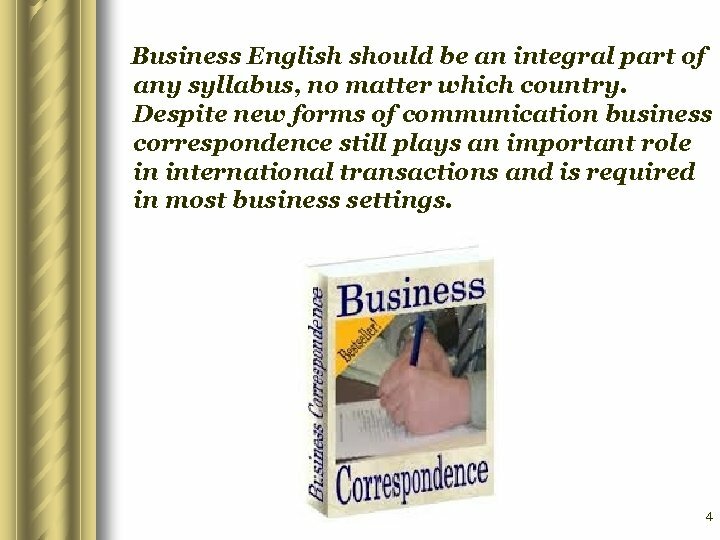 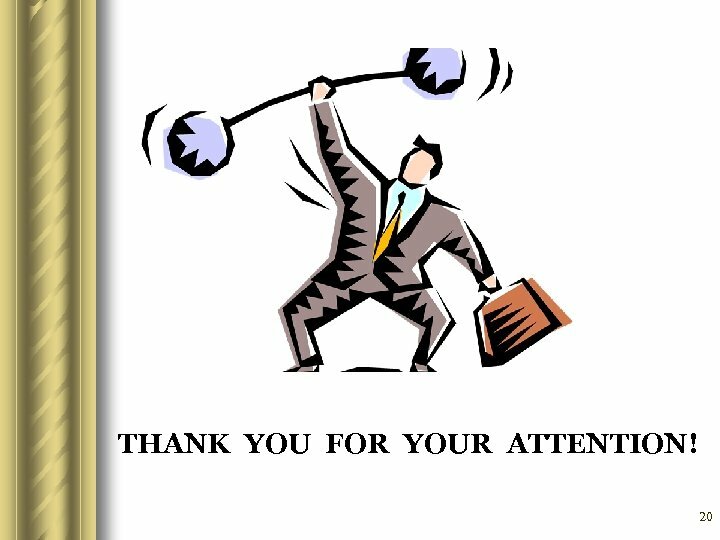 A virtual market is established generating the need for written and spoken business communication. 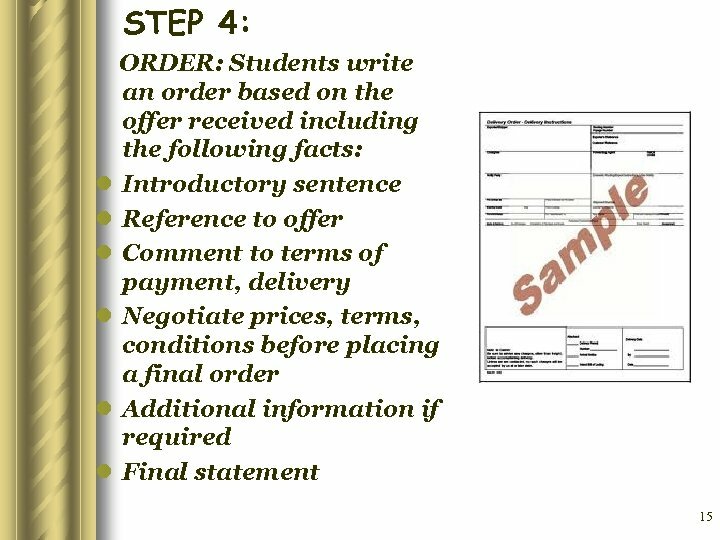 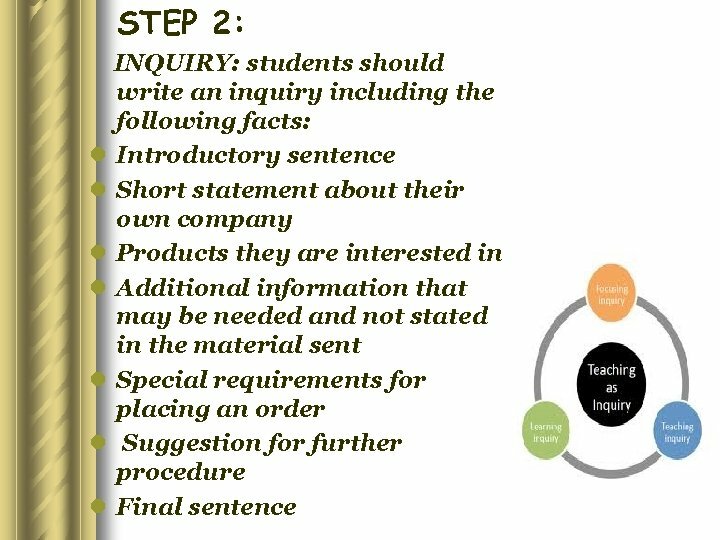 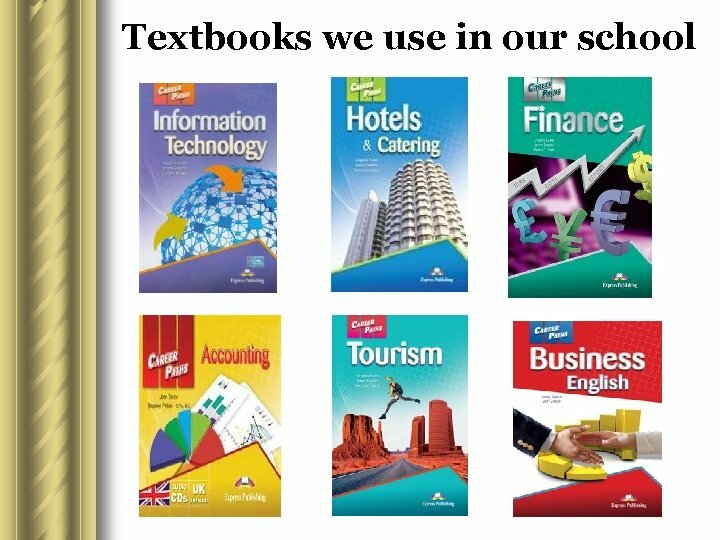 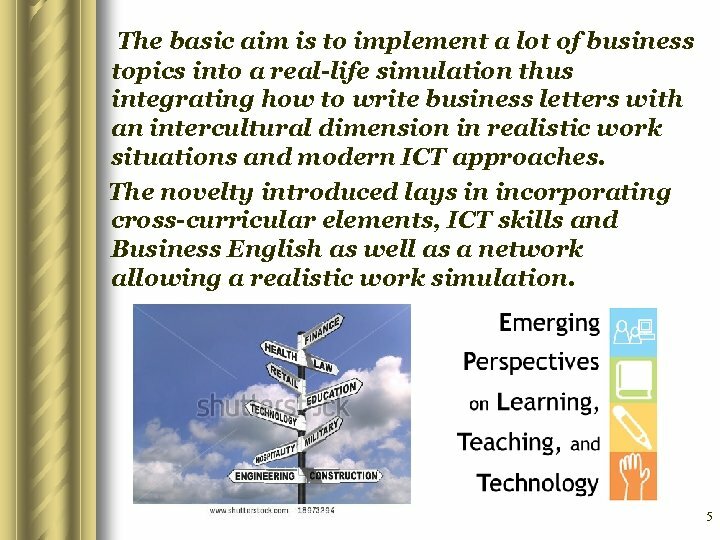 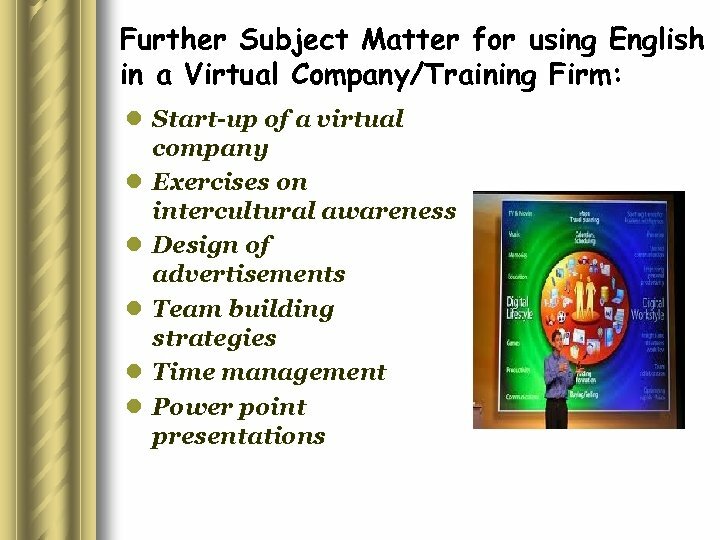 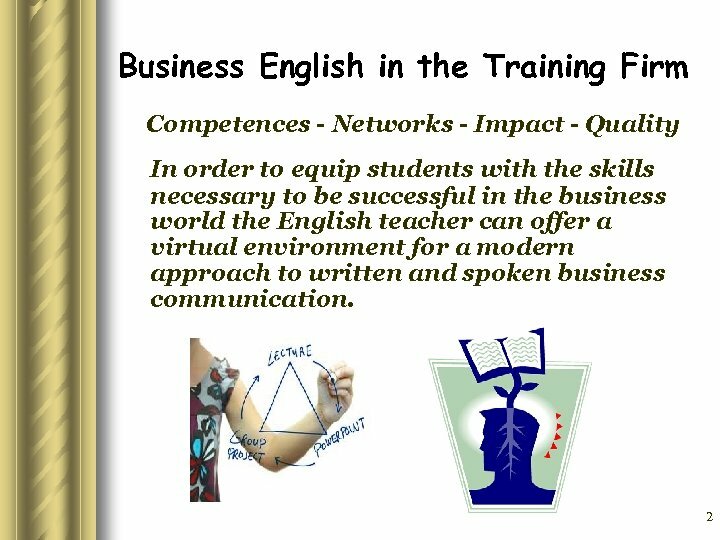 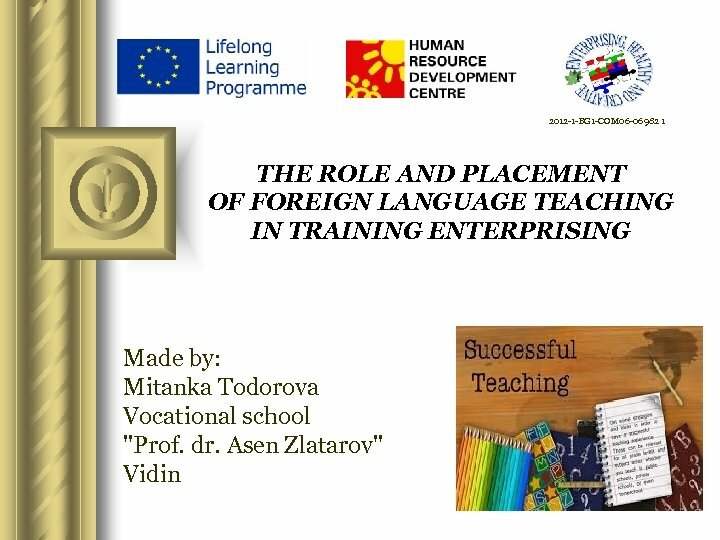 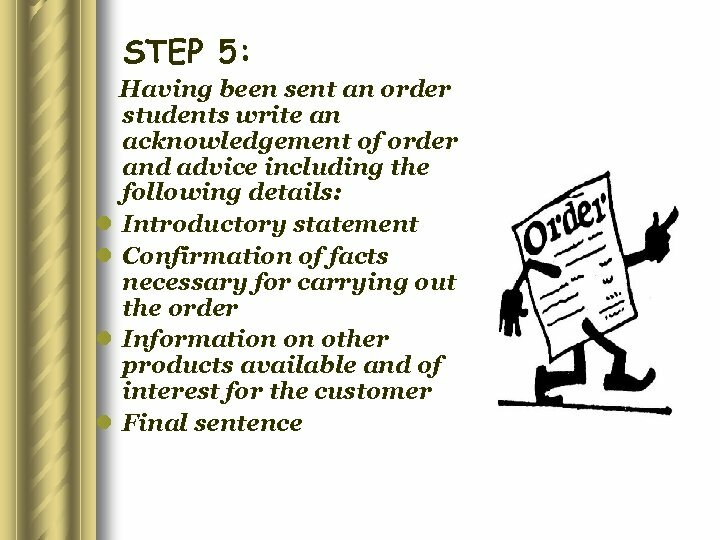 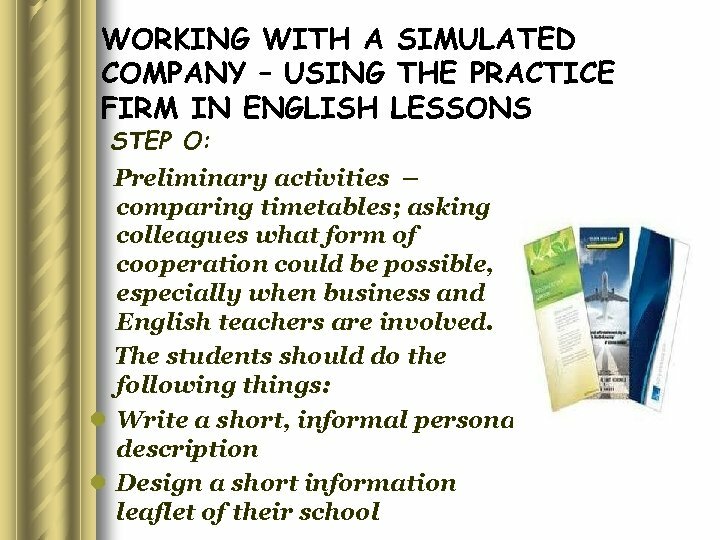 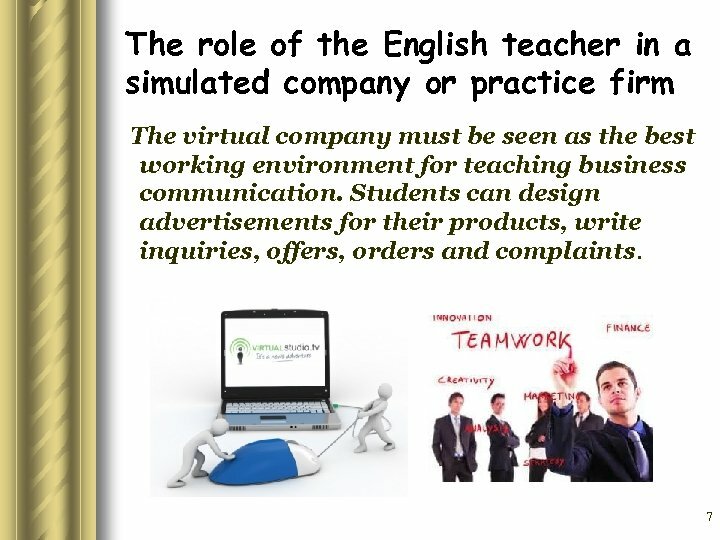 Further Subject Matter for using English in a Virtual Company/Training Firm: l Short-term goals: to provide a simulation of a realistic setting in which students can learn and improve their writing skills in commercial correspondence and the use of computer and e-mail. 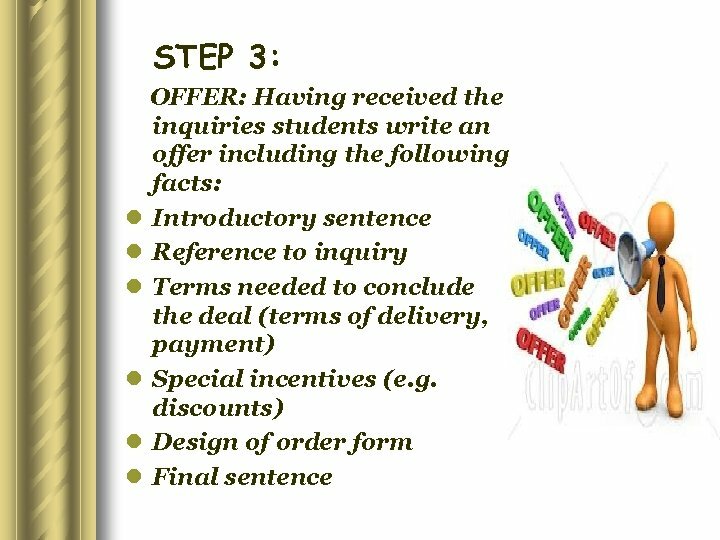 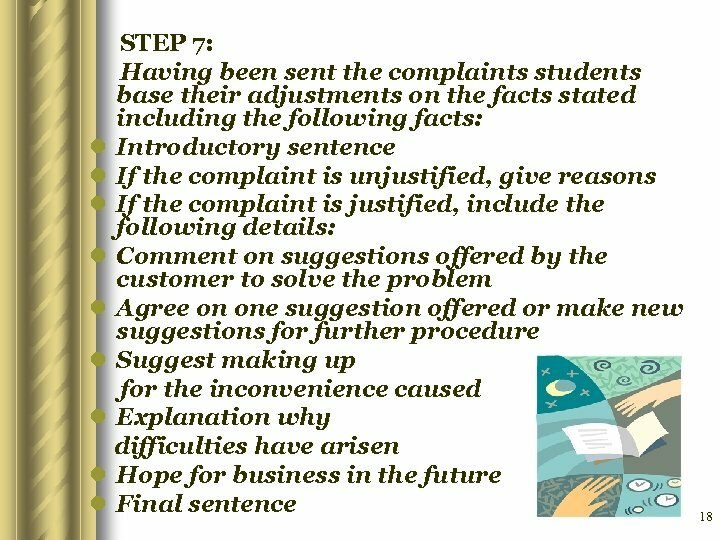 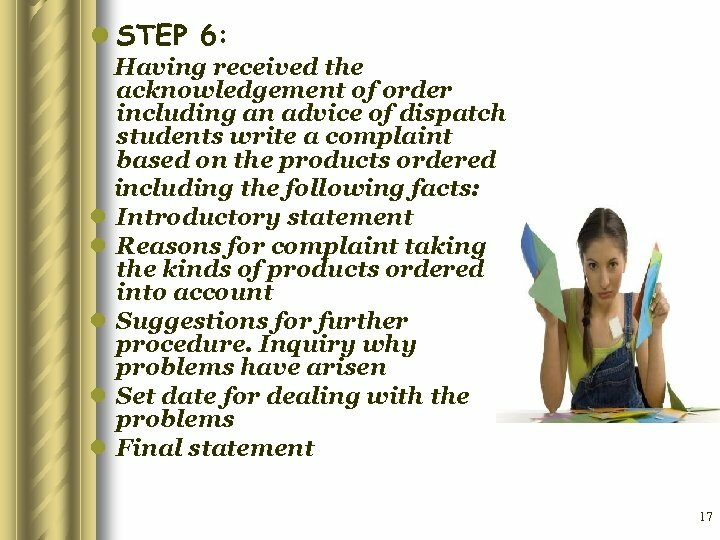 l Long-term goals: to study students’ problems regarding the vocabulary, register etc.